Have you ever counted the number of pop or soda glasses you consume every day? While fizzy drinks are simply irresistible for most people, they are one of the major contributors to most dental and health problems. 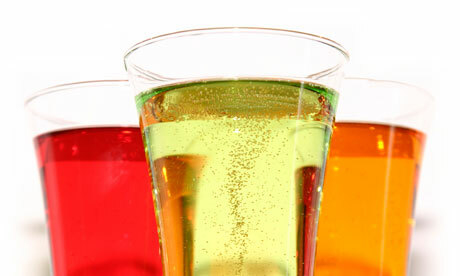 A majority of fizzy drinks have sugar in surplus amounts that participates in tooth decay and other dental problems. But, how could a single glass of pop harm you? You may not know this but just one glass actually has sugar in an amount equal to around three to four chocolate bars. Now, you can easily imagine the harmful effects the continuous supply of excessive sugar will have on your teeth. Apart from excessive levels of sugar, most fizzy drinks contain phosphoric acid along with citric acid that actually offers a sour flavor to the drinks you consume. These acids are actively involved in tooth enamel erosion, which can have severe dental health consequences. Once your enamel has softened, the erosion from these acids starts at a much faster rate, which keeps on weakening your teeth as time goes on. At the end of the day, limiting your intake of sugary beverages is the most ideal solution for preventing severe consequences. Remember, good oral hygiene practices combined with regular dental checkups will always keep you away from getting into dental trouble.